I write to you on behalf of the Middle East Studies Association of North America (MESA) and its Committee on Academic Freedom (CAF) to express our grave concern with aspects both of the briefing report titled “Campus Anti-Semitism,” released by the United States Commission on Civil Rights earlier this year, and of the “Findings and Recommendations of the United States Commission on Civil Rights Regarding Campus Anti-Semitism,” dated April 3, 2006. The Middle East Studies Association of North America (MESA) was founded in 1966 to promote scholarship and teaching on the Middle East and North Africa. The preeminent organization in the field, the Association publishes the International Journal of Middle East Studies and has more than 2700 members worldwide. MESA is committed to ensuring academic freedom and freedom of expression, both within the region and in connection with the study of the region in North America and elsewhere. MESA rejects all forms of hate speech and discrimination, including anti-Semitism. It supports prompt and forceful action in response to anti-Semitic incidents on university campuses. MESA also endorses the Commission’s efforts to increase awareness of anti-Semitism on university campuses. However, MESA is concerned that the briefing report and findings issued by the Commission may actually weaken efforts to combat anti-Semitism by expanding its definition to include an indefensibly broad range of legitimate speech and conduct. We are also concerned that false allegations associating Middle East studies programs and faculty with anti-Semitism may contribute to an already troubling environment of harassment, intimidation and censorship of faculty and students on college and university campuses, thereby threatening academic freedom. Three issues are of particular concern to MESA. First, we are deeply troubled by the Commission’s apparent acceptance of an overly broad and vague definition of anti-Semitism that dangerously blurs the boundaries between actual anti-Semitic speech and conduct, on the one hand, and criticism of Israel, Zionism, or U.S. policy in the Middle East on the other. As a result, the briefing report and the Commission’s findings seem to accept or even endorse assertions made by panelists who submitted statements to the Commission that entirely legitimate views and policy positions with which they disagree should be characterized as anti-Semitic. Such assertions are particularly distressing when they involve scholarship and teaching by college and university faculty. Wherever anti-Semitism surfaces, an immediate and vigorous response is necessary. But efforts to demonize academic and other critics of Israel, Zionism, and U.S. policy in the Middle East by tarring them with the brush of anti-Semitism are clearly unacceptable and merit no less urgent and vigorous a response. Second, we reject as unfounded the allegations and insinuations presented in the briefing report that university departments of Middle East studies promote anti-Semitism. The briefing report presents no evidence whatsoever that would substantiate such scurrilous claims, and none of the instances of anti-Semitism referred to in the report involved a federally-funded Middle East studies center. Unfortunately, the Commission permitted members of the briefing panel to repeat, without challenge, unfounded allegations concerning individual faculty members specializing in the study of the Middle East and/or Islam, all of whom have rejected the charges against them and denied their truthfulness. Several of these faculty members have in fact been subjected to exhaustive investigations by their universities which have not substantiated the allegations repeated in the Commission’s briefing. We also insist that it is inappropriate and inaccurate for the Commission to have included among its findings the assertion that “many university departments of Middle East studies provide one-sided, highly polemical academic presentations and some may repress legitimate debate concerning Israel.” This assertion too is completely unsupported by evidence and should be stricken from the Commission’s findings. Third, we are concerned that the procedure by which the briefing report was produced was defective; that much of its tone and contents is highly polemical and fall far short of the standard that Americans have a right to expect the Commission to adhere to; and that it may contribute to an environment on university campuses that undermines academic freedom as well as the kind of first-rate scholarly research and teaching on the Middle East and the Muslim world which our country so desperately needs. As the briefing report notes, all of the universities invited to take part in the briefing declined to do so. To our knowledge, no representative of university-based Middle East studies programs or of the academic Middle East studies community was invited to participate. The briefing report, and the responses to it by several universities against which allegations were made, make it clear that the panelists presented a very partial, highly ideological, and narrowly partisan understanding of academic Middle East studies in this country and sought to define anti-Semitism extremely broadly and loosely. We fear that their purpose in so doing was to advance their own partisan political agenda, strengthen efforts to impose political litmus tests on college and university faculty, subject federally-funded Middle East studies programs to politically-motivated oversight, undermine academic freedom, and stifle free and open discussion on public issues of critical national importance. We also note that efforts to dilute and expand the definition of anti-Semitism so as to encompass legitimate speech and conduct can have damaging consequences for efforts to address and combat real anti-Semitism. By adopting a vague and politicized definition of this insidious form of hate speech, the Commission increases the risk that attention and resources that are better directed toward combating real anti-Semitism will instead be diverted to politically-motivated efforts to censor unpopular or controversial views expressed by university faculty. We urge the Commission not to pursue or endorse such a course, but rather to focus its efforts on real forms and incidents of discrimination and hate speech, including anti-Semitism. 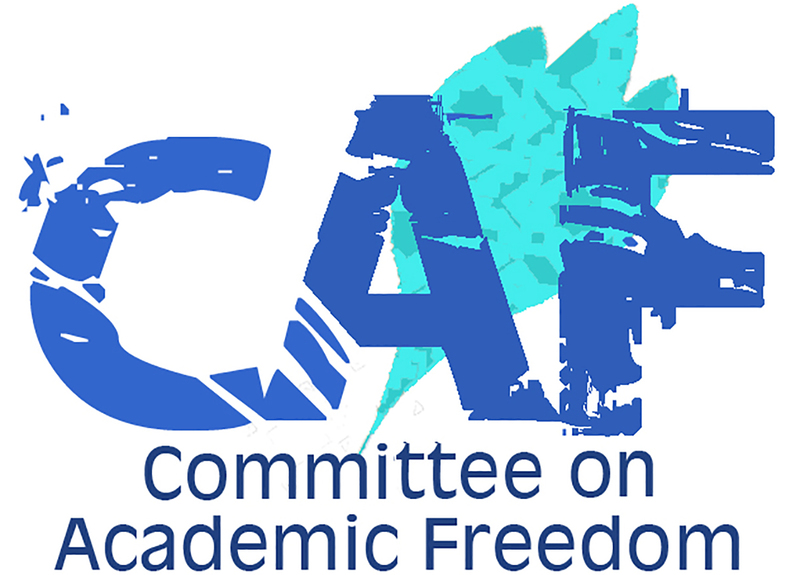 By accepting panelists’ unsubstantiated allegations and insinuations about biased and unprofessional conduct among Middle East studies programs and faculty, and by allowing them to be publicly tainted with the brush of anti-Semitism, the Commission has imposed a substantial burden on these programs and individuals. It is incumbent on the Commission to relieve this burden. We therefore call upon the Commission to clarify its definition of anti-Semitism by more effectively distinguishing it from criticism of Israel or of Zionism, and to state publicly that the allegations and insinuations contained in the briefing report and findings concerning Middle East studies programs and faculty are unsubstantiated by evidence and do not reflect the views of the Commission.